You don’t have to be a movie star to have a glamorous smile. At Montane Dental Care, experienced cosmetic dentist Dr. Jorge Montane can help you achieve and maintain a head-turning smile that you can enjoy for years to come. 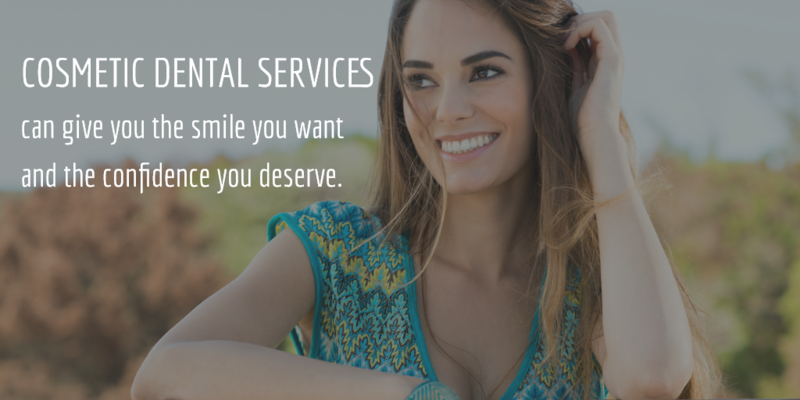 To learn more about how our cosmetic dental services can help you get the smile you’ve always dreamed of, contact Montane Dental Care today online or at 510-795-0444 to schedule a free consultation. Our comfortable, state-of-the-art Fremont office happily welcomes patients from in and around Newark and Union City. Why choose Dr. Montane for your cosmetic dental needs? Cosmetic dentistry is the field of dentistry that focuses on the art and science of creating beautiful, natural-looking smiles. If you are unhappy with an aesthetic aspect of your smile, Dr. Montane can help you get the bright, vibrant smile you desire. Over a distinguished dental career of more than 30 years, Dr. Montane has helped thousands of patients get healthy, strong and dazzling teeth. He takes a very personal approach to dentistry; he takes the time to get to know you and your goals; he carefully explains all of your treatment options and ultimately designs a customized treatment plan based on your unique goals, characteristics, budget and lifestyle. Not only do cosmetic dental services focus on the aesthetic principles of smile design, they also address functional aspects of your teeth and gums. At Montane Dental Care, we combine science, artistry and the fundamentals of general dentistry to correct a broad array of conditions, giving you a smile that is healthy, functional and beautiful. Porcelain veneers: One of the most effective and versatile dental solutions today, porcelain veneers are incredibly thin shells of dental porcelain that fit over the front surfaces of your teeth to conceal a number of cosmetic issues, such as chips, cracks and stains. Dental implants: Missing teeth are perhaps the most obvious and challenging obstacles to a perfect smile. Dental implants are the most comprehensive way to address missing teeth because they not only replace the tooth, they replace the root. This provides long-lasting strength, stability and beauty while simultaneously preventing future bone loss and other issues related to missing teeth. Teeth whitening: If you hide your teeth every time you laugh or smile because you are embarrassed by yellow, dingy teeth, our professional teeth whitening services can restore your bright, youthful smile as well as your self-confidence. Available in both in-office and take-home options, our tooth-whitening offerings can help you get a white smile you can be proud of. Porcelain crowns and bridges: Whether you need to protect a weak tooth, replace an unattractive metal crown or need to address one or more missing teeth, porcelain crowns and bridges offer stability and life-like beauty. Gum lift and contouring: Even if your smile is otherwise perfect, excessive gum tissue can create the appearance of a “gummy smile” and detract from your natural beauty. The gum lift and contouring services offered at Montane Dental Care can help your gums look more even and contoured, adding to the beauty of your smile rather than diminishing it. Orthodontics: If your teeth are significantly crooked or misaligned, orthodontic treatment may be necessary. Dr. Montane proudly offers a variety of orthodontic options for patients of all ages. Smile makeover: If you suffer from numerous cosmetic imperfections and fear that no single procedure can help you get the straight, white smile you desire, a complete smile makeover may be your ideal solution. Smile makeovers involve a variety of cosmetic dental procedures to help you get a stunning Hollywood smile. If you suffer from teeth that are slightly chipped, cracked gapped or discolored, dental bonding is a quick and affordable solution. Using a composite, putty-like resin that is matched to the color of your natural teeth, Dr. Montane gently applies multiple layers to your tooth’s enamel and sculpts a restoration that is both functional and natural-looking. While effective, dental bonding is not as durable as other cosmetic dental solutions. During your initial consultation, Dr. Montane will assess your situation and discuss all of your options so that you can make an informed decision about which treatment is best suited to your goals, budget and lifestyle. Your smile is often the first thing people notice about you. When you feel confident in your smile, you share it more. A proud, attractive smile can improve your self-esteem and help you be yourself in social and professional interactions. Likewise, when you are embarrassed by the appearance of your smile, it can make you feel less confident when meeting people and cause you to hide your smile or smile less. Missing teeth: Teeth that have been knocked out or extracted can harm more than just your self-confidence. Diminished functionality in your bite can lead to long-term problems with both your oral and general health. When missing teeth go untreated, adjacent teeth begin to shift to fill the gap, and bone loss begins to occur in the jaw. Dental implants are the most effective and long-lasting ways to replace missing teeth. Cracked or chipped teeth: Even small chips and cracks can diminish the beauty of your smile, especially when they appear on your front teeth. Dr. Montane can address these common imperfections with porcelain veneers or dental bonding, depending on your goals and budget. Crooked teeth: Crooked teeth can detract from your smile’s beauty and contribute to a number of functional issues. Depending on the severity of your misalignment, either porcelain veneers (often referred to as “instant orthodontics”) Six-Month-Smiles or other orthodontic treatments can help to straighten your teeth and improve your bite. Stained or discolored teeth: Teeth naturally darken over time. A lifetime of smoking or drinking tea, coffee or wine can leave your teeth looking dull and dingy. Professional teeth whitening services can help you get a whiter, brighter smile than with over-the-counter drug store kits. Gummy smile: A disproportionate appearance of gum tissue can produce what is commonly known as a “gummy smile”. This condition can cause your teeth to look stubby and your entire smile to appear less than ideal. Laser gum therapy can help reduce the amount of visible gum tissue and give you a smile you can be proud to share. Dr. Montane provides cosmetic dental services that create stunning smiles without sacrificing the optimal health and functionality of your teeth. Most of the cosmetic treatments offered at Montane Dental Care enhance the appearance of your smile while also improving your bite, facial profile and your ability to speak and chew. Dr. Montane’s individualized-approach to cosmetic dentistry involves a close examination of what is causing your cosmetic issue, and ensuring that all aspects of your oral health are addressed. He strives to make sure that your teeth and gums aren’t just attractive, but also strong and healthy. Fondly referred to as “No-Pain Montane” by some of his patients, Dr. Montane is committed to ensuring that every procedure is conducted as comfortably and painlessly as possible. He uses the most advanced techniques to prevent your experience from being marred by pain and discomfort. We know that the best results never come from a one-size-fits-all approach. When you choose Montane Dental Care, you will be treated like the unique individual you are, and your treatment plan will be customized specifically for you and your individual goals. 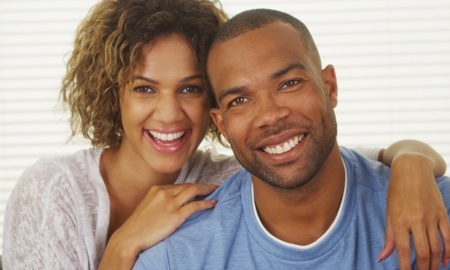 There are a variety of treatments and procedures that fall under the term cosmetic dentistry. The cost of cosmetic services can vary widely from patient to patient, based on the extent of work needed and treatments selected. The best way to find out what you can expect to pay for your cosmetic dental procedure is to meet personally with Dr. Montane. During your free initial consultation, he will carefully examine your teeth, gums and oral condition, discuss your unique goals and explain all of your dental options. We believe that while an understandable concern, cost should never stand between you and the smile of your dreams. We proudly offer several payment and financing options to help make your procedure more attainable. The first step toward achieving the proud, confident smile you deserve is to schedule a free consultation with experienced cosmetic dentist Dr. Jorge Montane. Contact Montane Dental Care today by completing the form on this page or calling 510-795-0444. We proudly serve the Fremont Newark, and Union City areas of California.